Discover a hand-picked selection of picturesque Kentish villages on this leisurely half-day tour. Avoiding main roads, you meander along narrow country lanes, pausing in some of the county's most photogenic spots to take photos, explore the odd medieval church or perhaps meet the landlord of a local pub. You make a stop in Sandwich, one of the most complete medieval towns in Britain with a street plan that has changed little since the 14th century. Enjoy a walking tour of this ancient town, followed by a delicious traditional cream tea, included in the price of the excursion. Return to Dover via the historic coastal towns of Deal and Walmer, before making a final stop in a spectacular location to admire the famous White Cliffs. 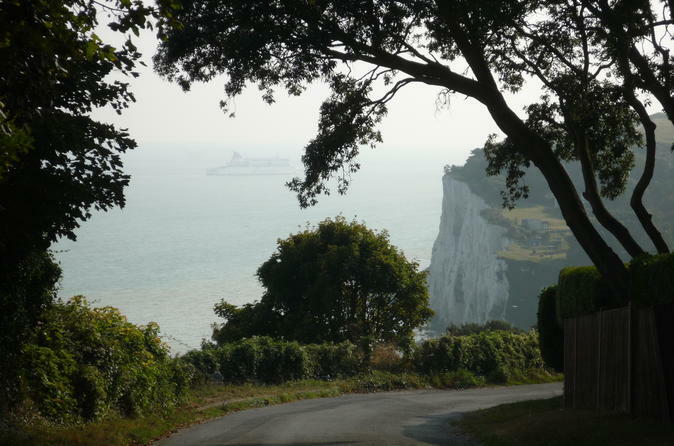 This private half-day excursion starts from Dover Port or Cruise Terminal and lasts approximately 4 hours. The excursion can operate in the morning or afternoon, so please advise the preferred start time at the time of booking. The route takes you from Dover heading north through a selection of villages to the east of Canterbury and returns via the medieval town of Sandwich and the east coast of Kent. Complimentary pick-ups and drop-offs are also available from Folkestone, Ashford or Canterbury, including railway stations and hotels. Transportation will be arranged in a private air-conditioned 7-seater vehicle and includes the services of a fully qualified driver-guide. A traditional cream tea is included in the price of the excursion. Individual headsets are provided so that everyone can clearly hear the guide's commentary inside and out of the vehicle.